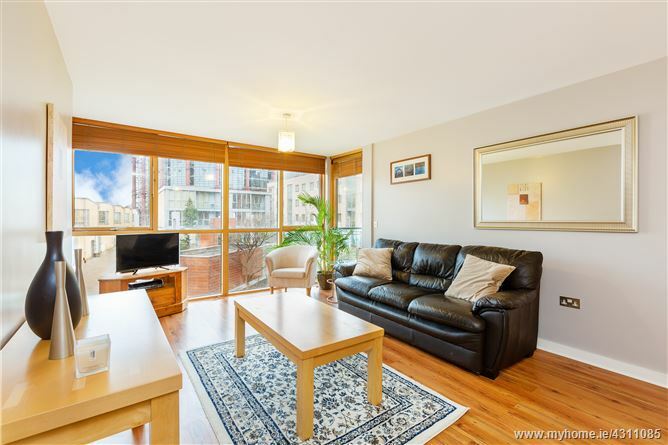 A very impressive two bedroom, two bathroom property which enjoys an excellent internal layout with plenty of storage space. 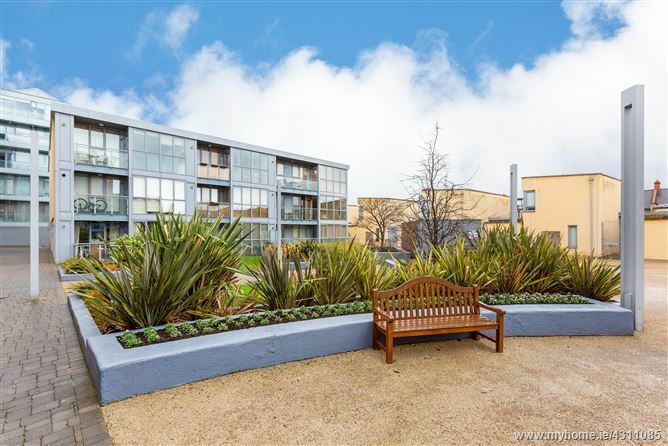 Situated on the 1st floor featuring a south-east facing sun terrace overlooking the internal landscaped gardens, no. 10 presents in turn-key condition throughout. 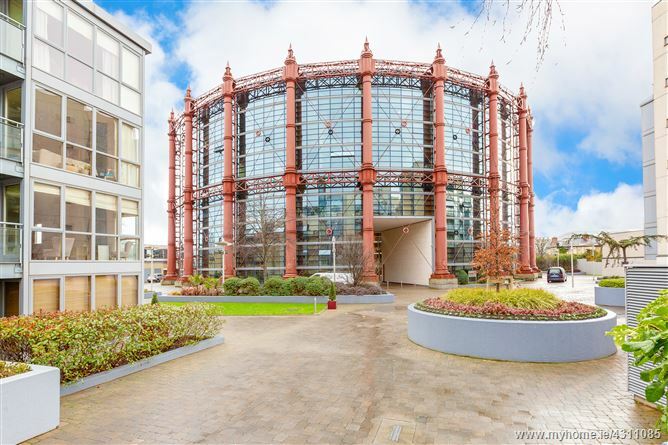 The Gasworks is a popular, well maintained development adjoining Google HQ and the DART station at Grand Canal Dock. 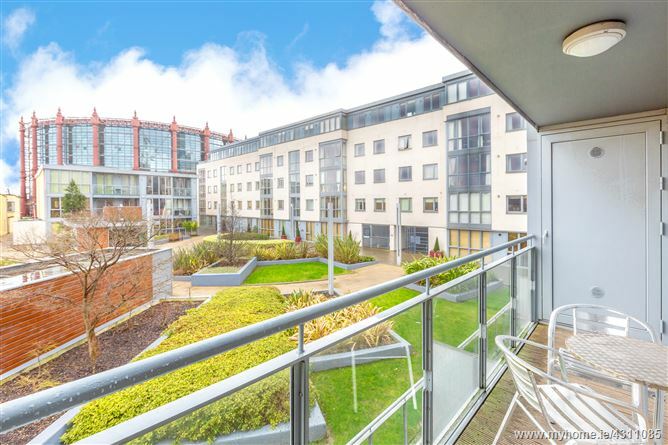 The property enjoys an enviable location in the heart of Dublin 4, between Ballsbridge, Grand Canal Dock, Baggot Street and Beggar’s Bush, with a wide variety of sporting and social amenities in all directions and within walking distance of the city centre. 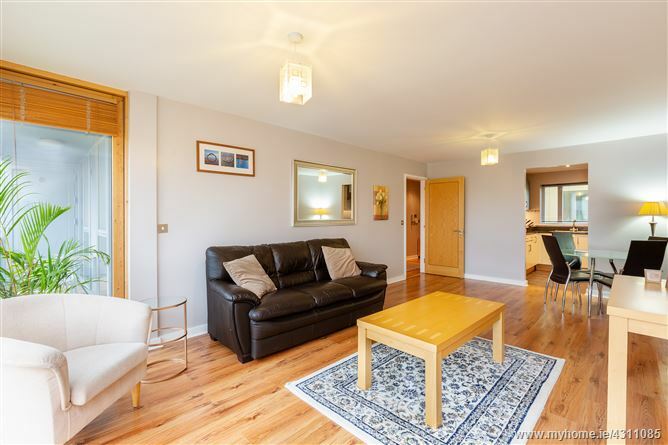 The accommodation briefly comprises an entrance hall with generous storage and a utility closet, an open plan living/dining room with fully equipped kitchen, two double bedrooms, a master en-suite, a bathroom and a terrace. 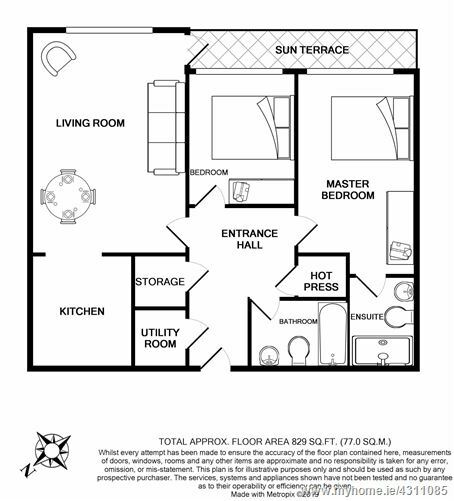 A welcoming and spacious entrance hall featuring timber floors, a generous storage closet, hot press and utility closet with washer and dryer. 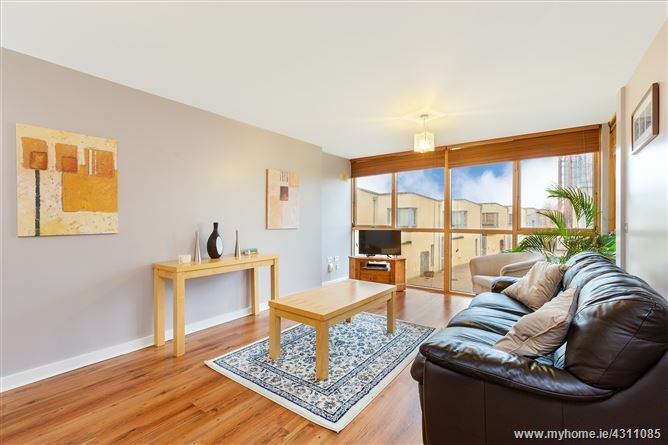 Open plan, south-east facing living/dining room featuring timber floors, floor to ceiling glazing opening onto the sun terrace with attractive views of the internal landscaped gardens. 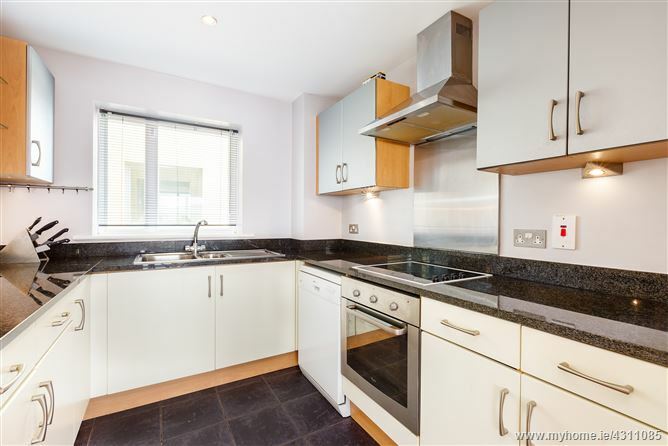 A contemporary, fully equipped kitchen featuring black granite worktop and fitted with oven, hob, hood, fridge, freezer and dishwasher. 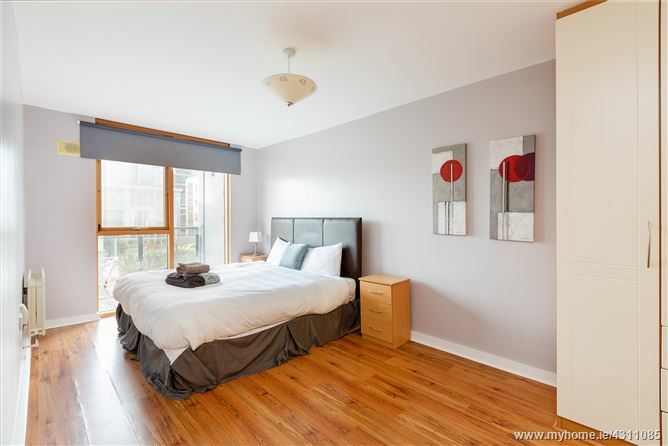 An exceptionally spacious, south-east facing master double bedroom with timber floors, floor to ceiling glazing, built in wardrobes and a shower room en-suite. 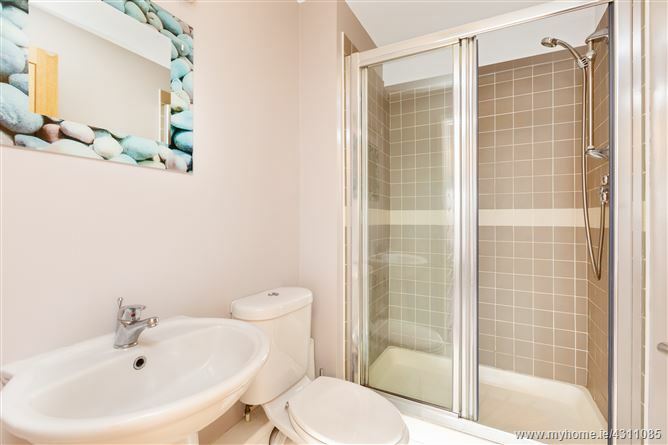 Contemporary en-suite shower room with generous shower cubicle, white WC and WHB. 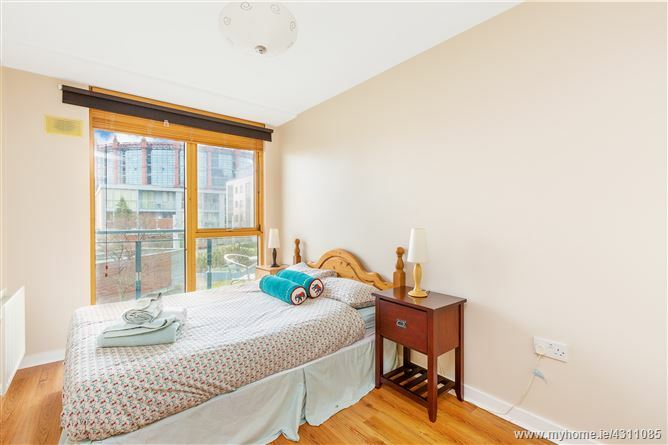 A south-east facing double bedroom with built in wardrobes and timber floor. 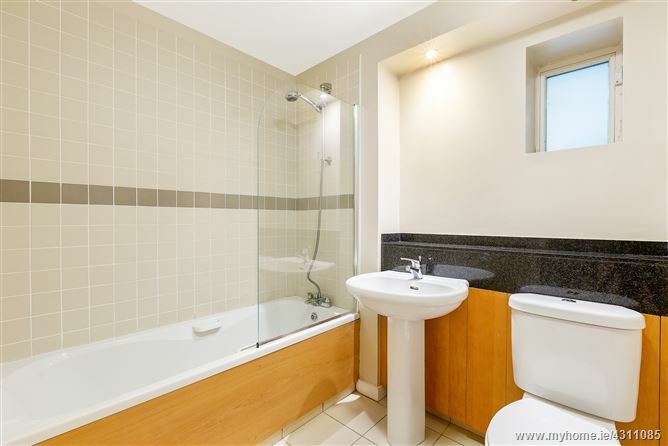 Contemporary bathroom with white three piece suite. 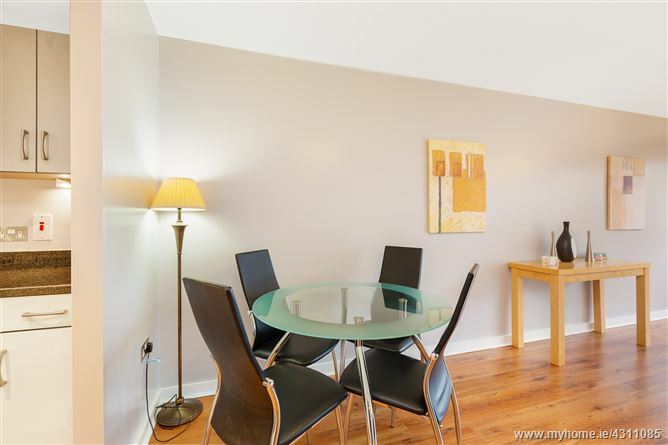 A south-east facing sun terrace on the 1st floor overlooking the leafy internal landscaped gardens.